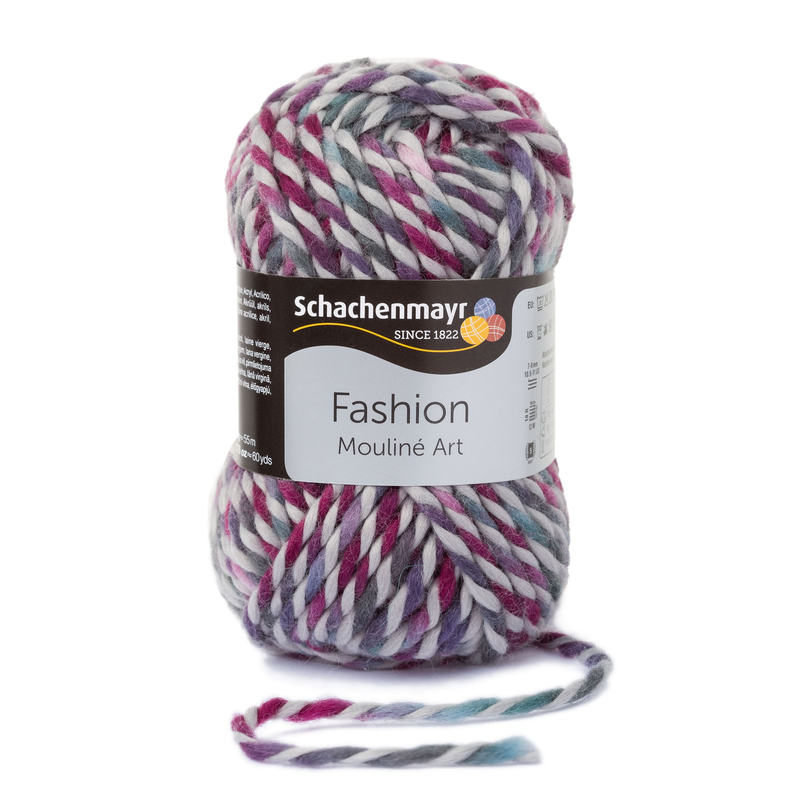 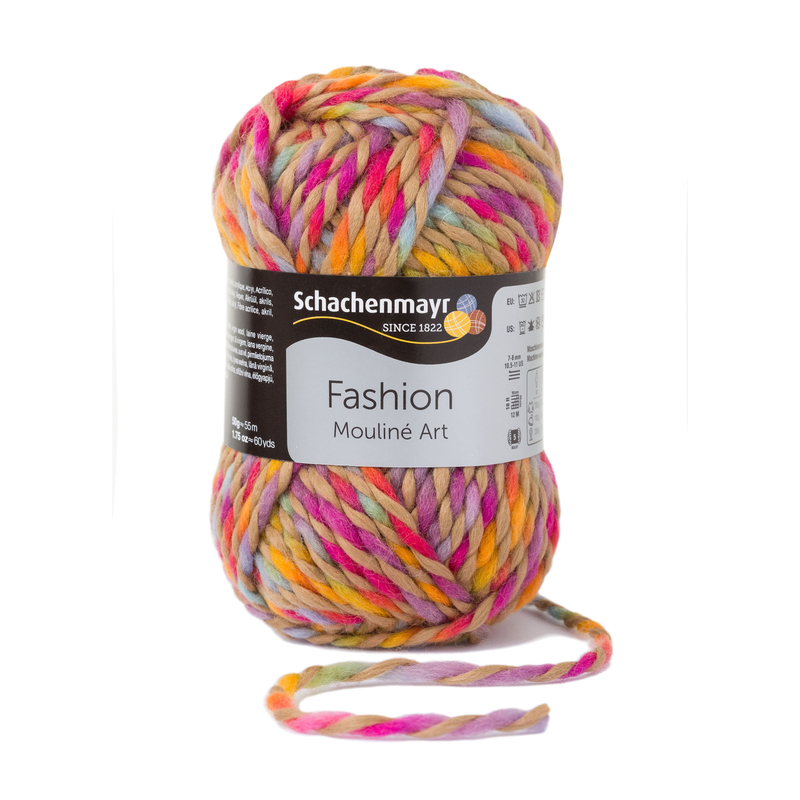 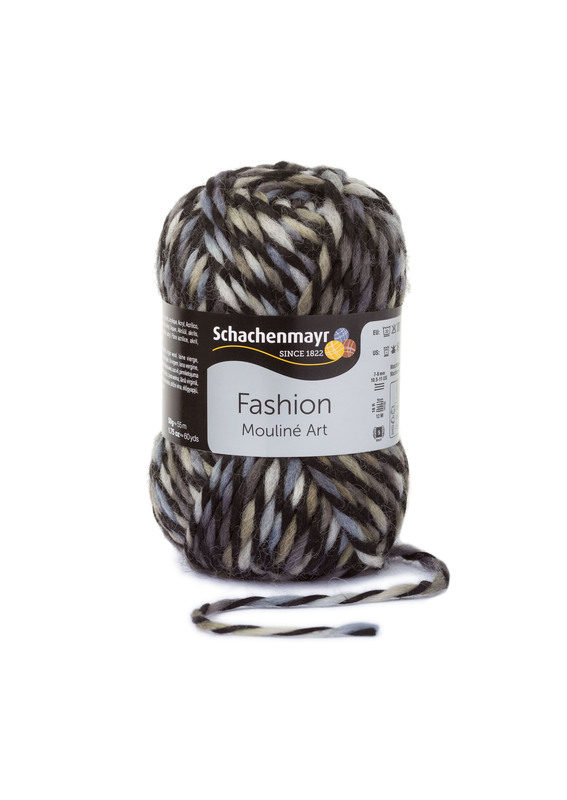 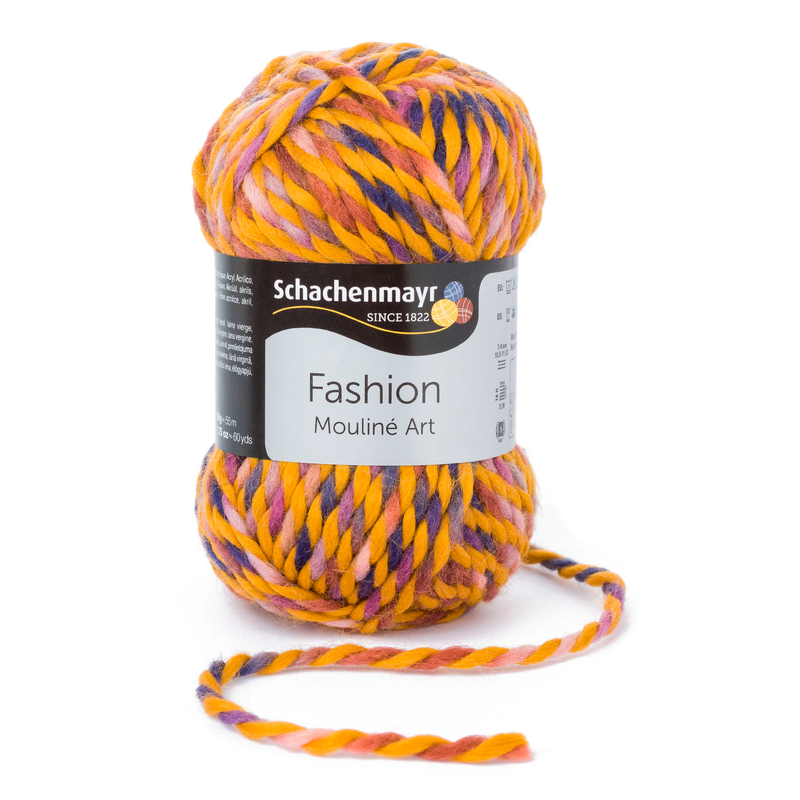 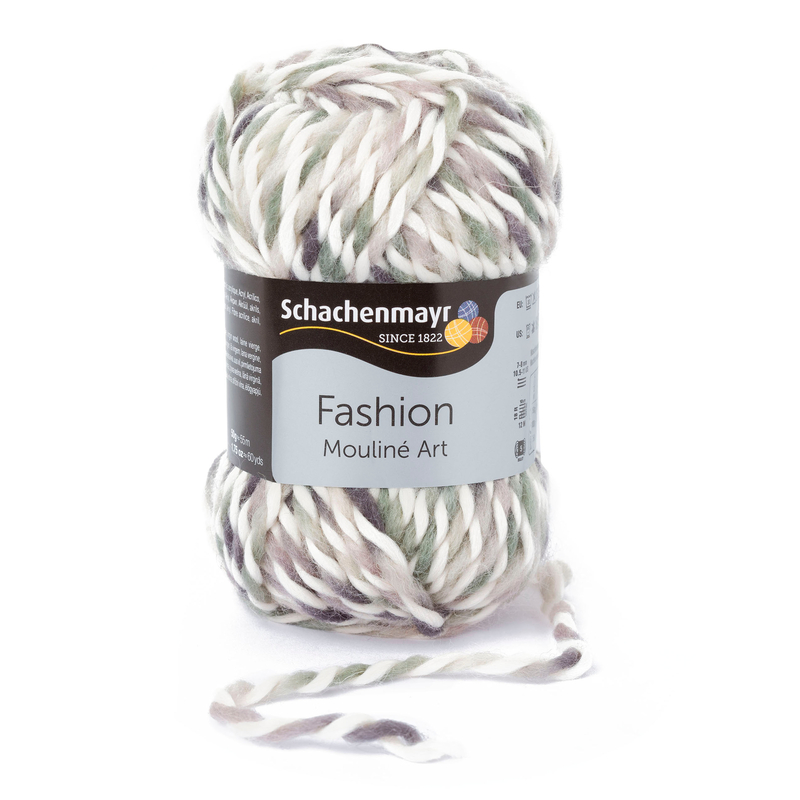 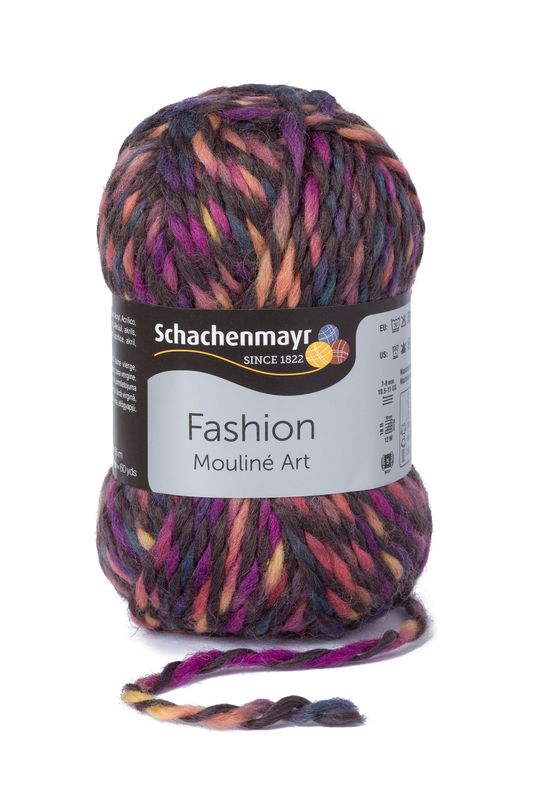 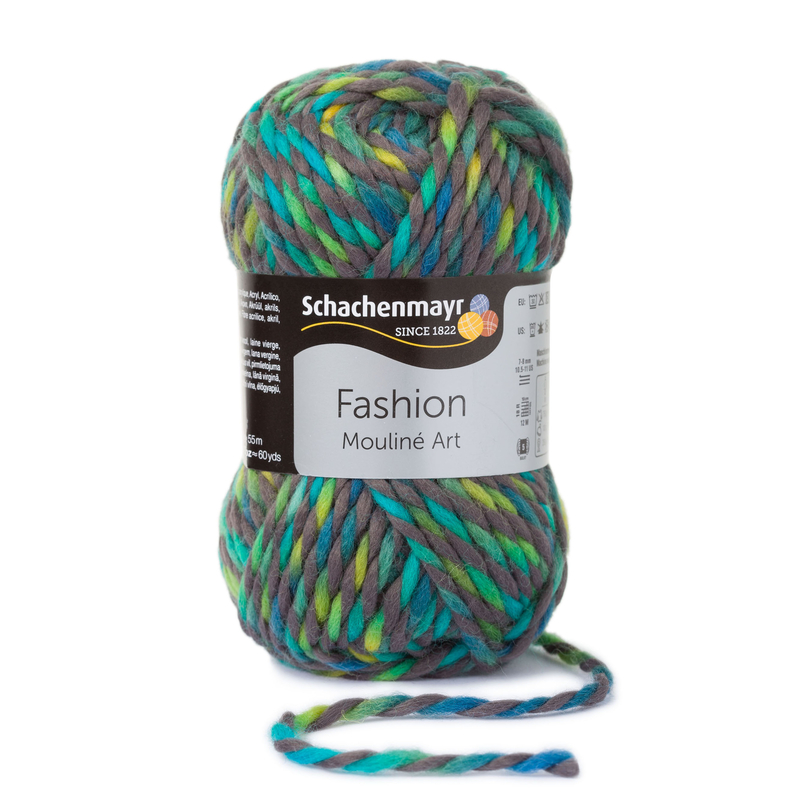 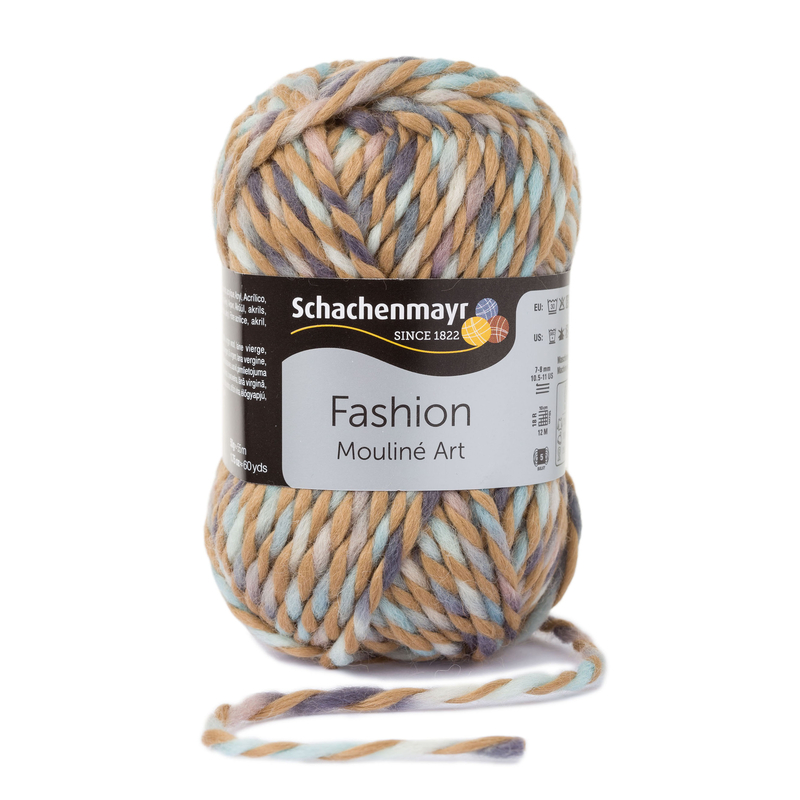 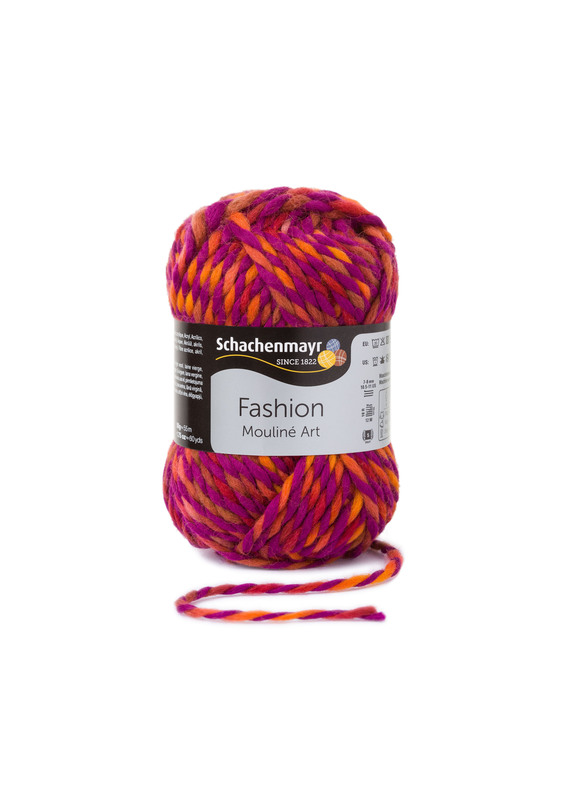 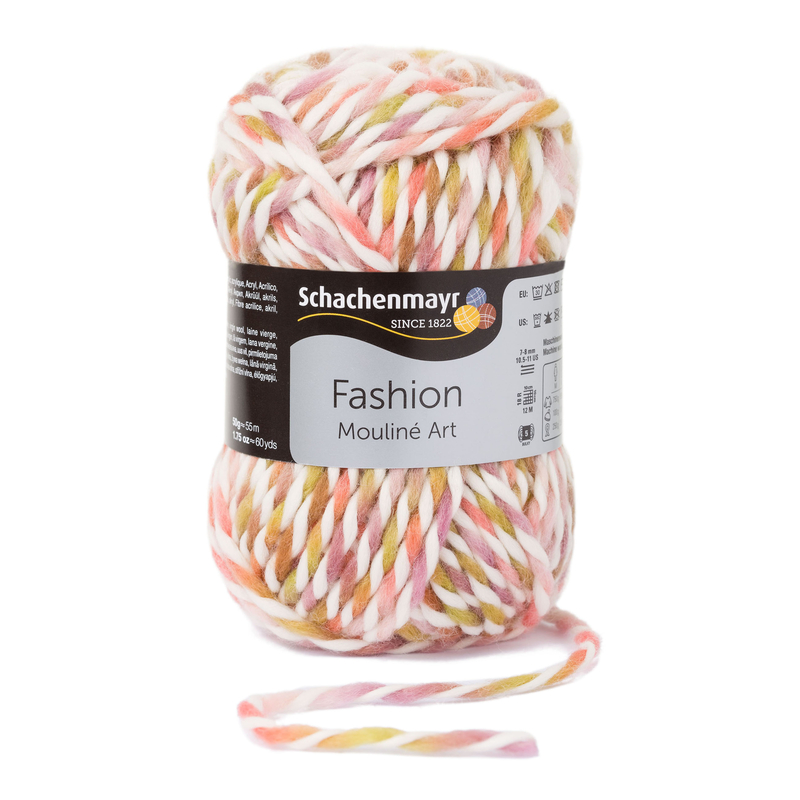 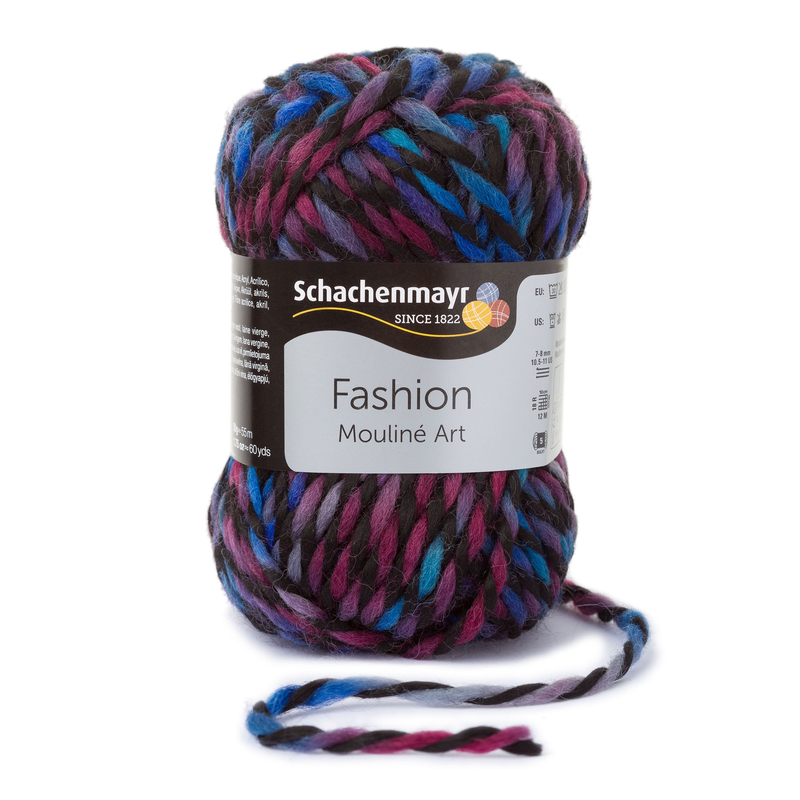 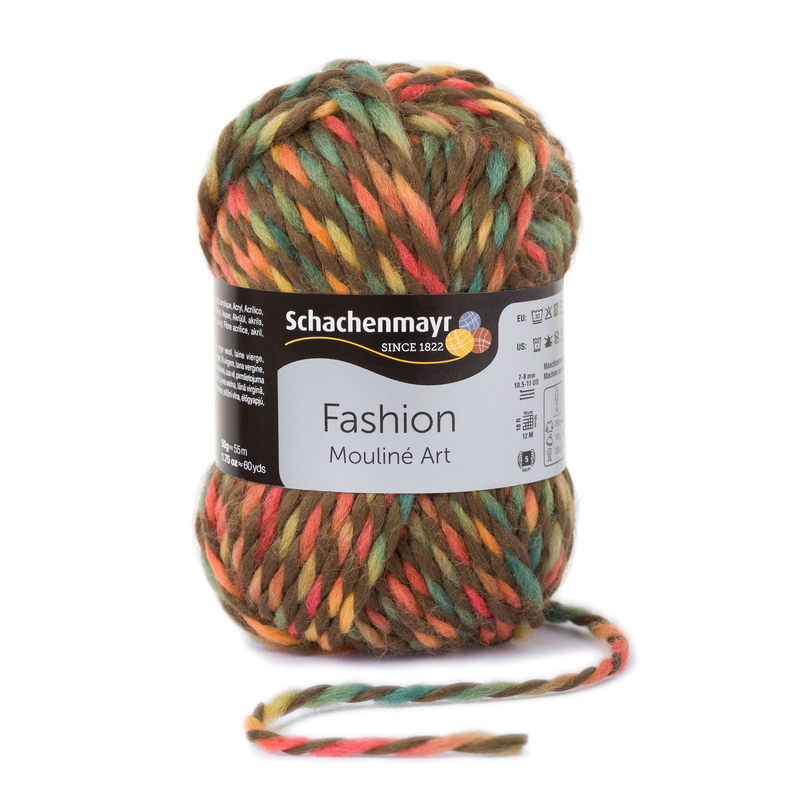 Knitted or crocheted, any garments and accessories of Schachenmayr Mouliné Art will be fully on trend. 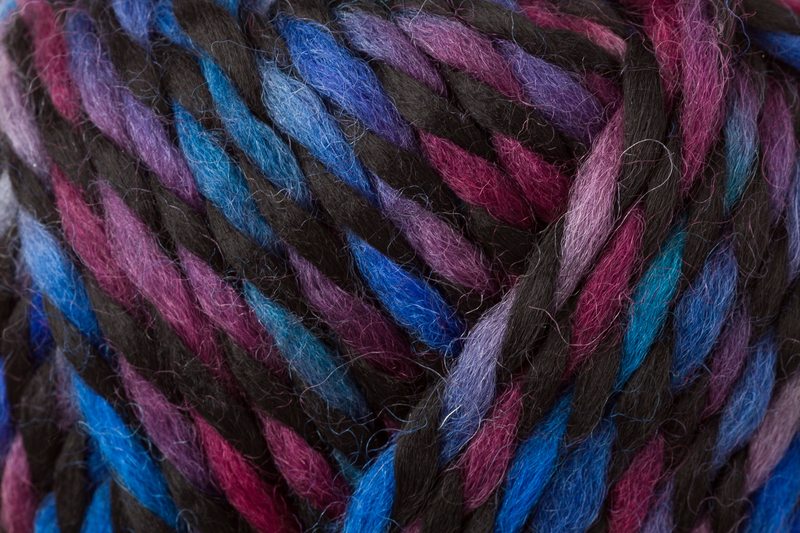 The unique color effect is formed by twisting one ply of a single subtle base color with an evenly sized second ply of variegated jewel tones. 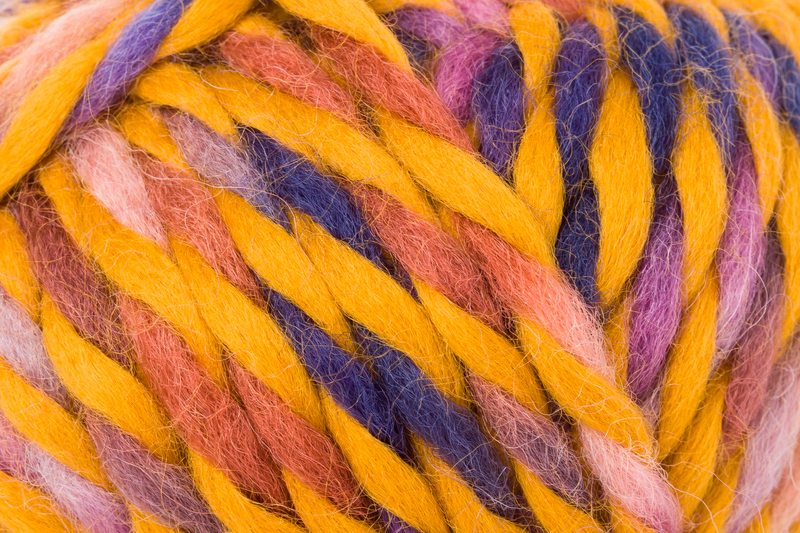 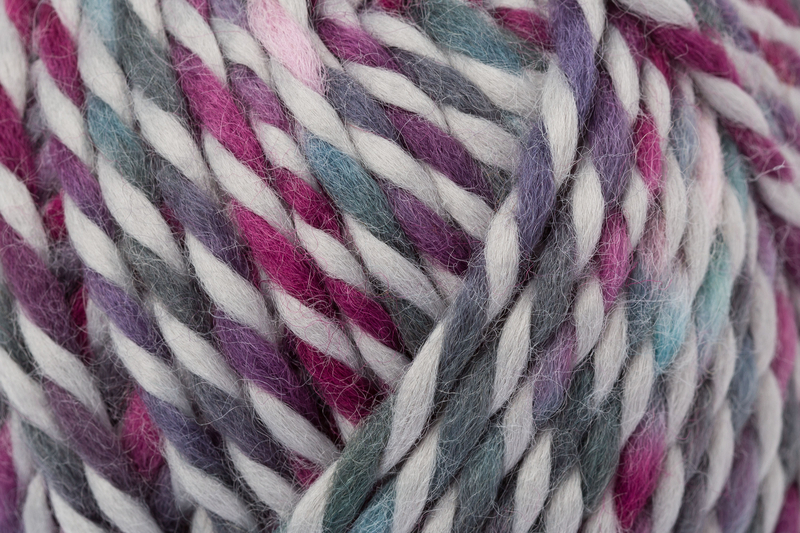 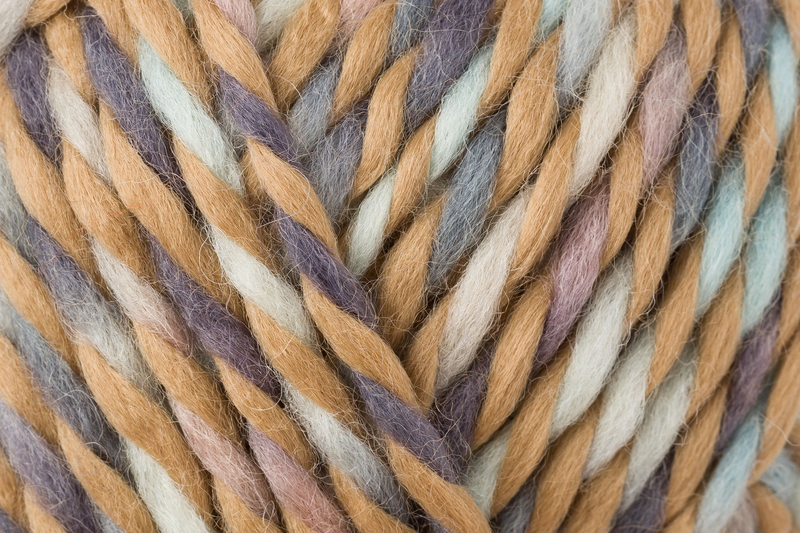 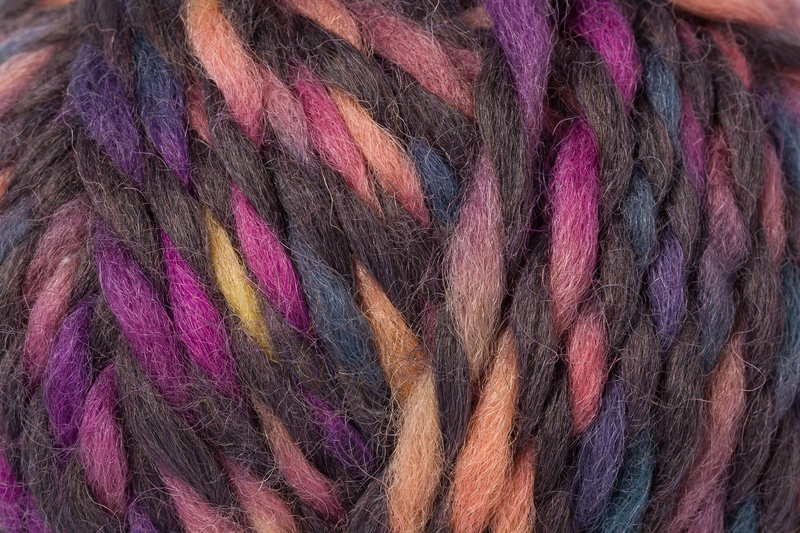 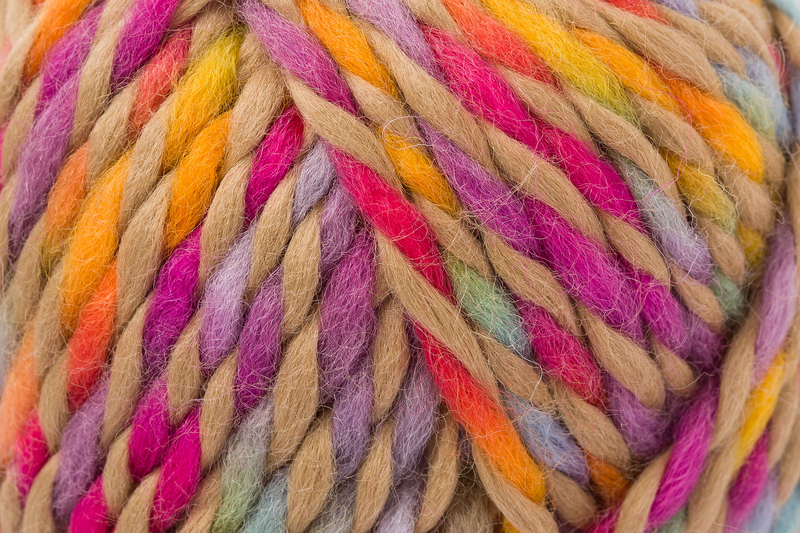 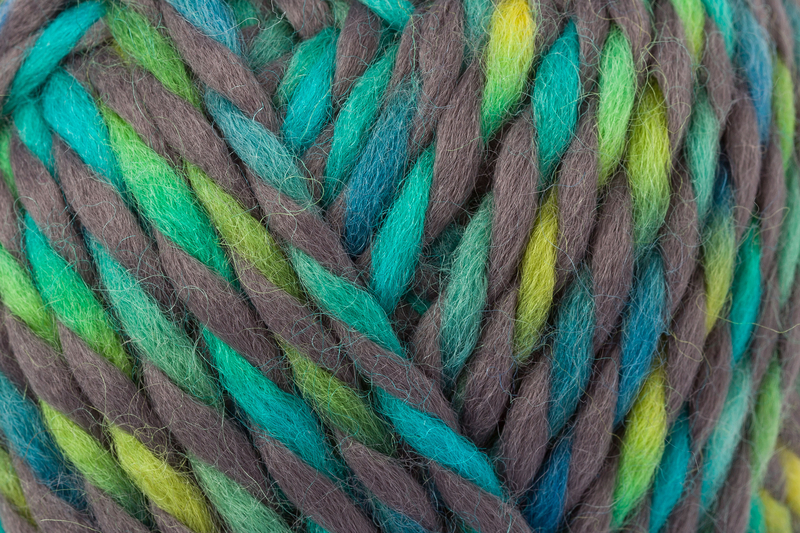 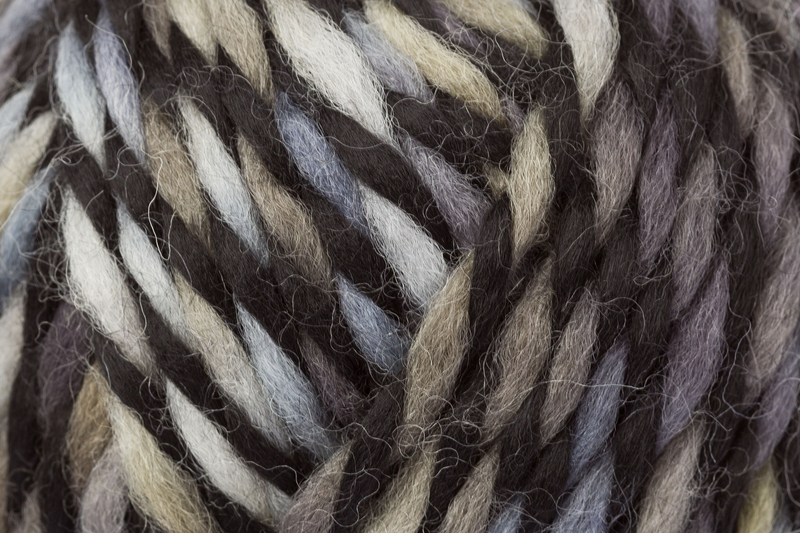 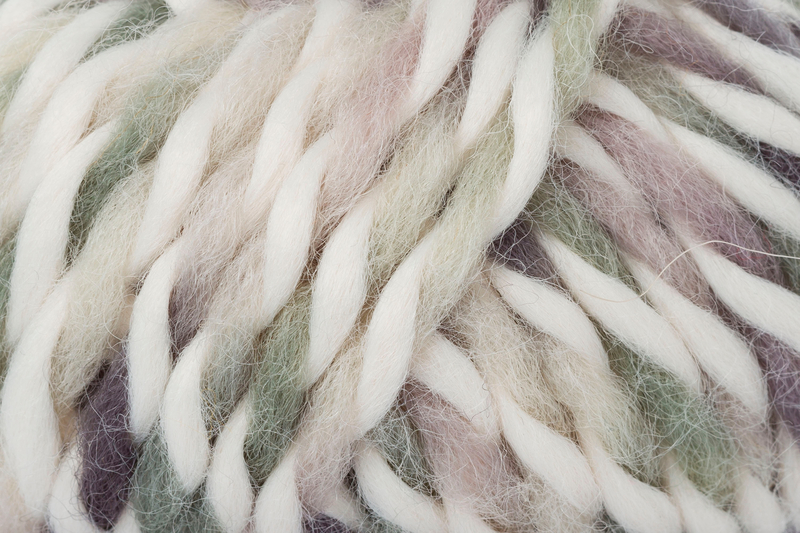 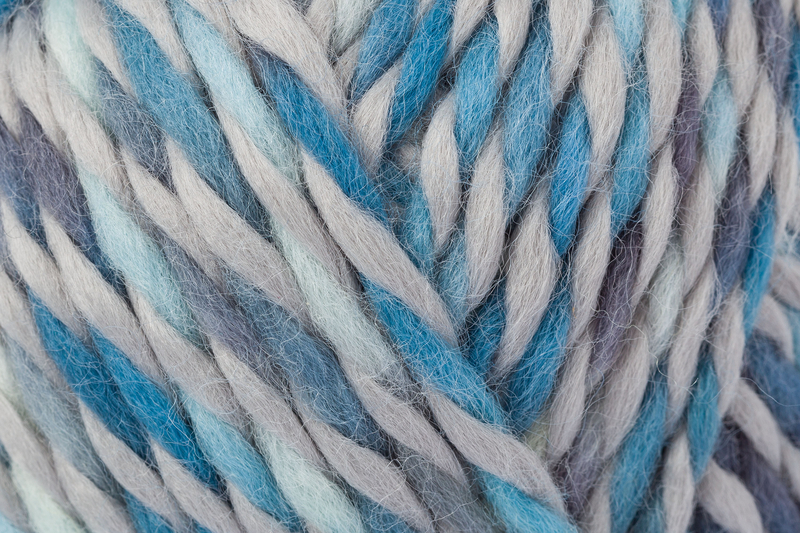 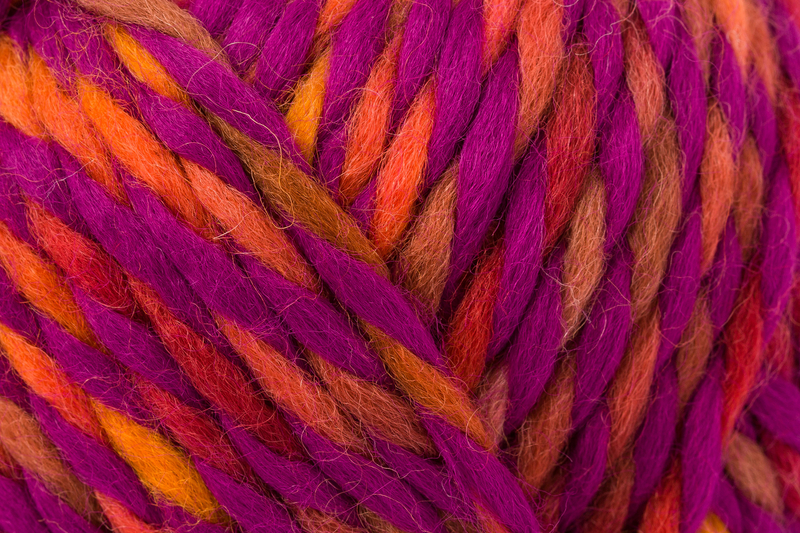 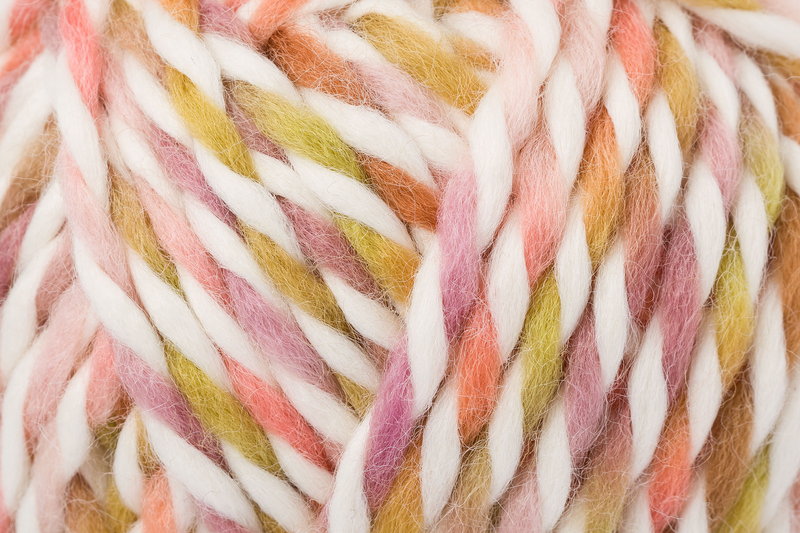 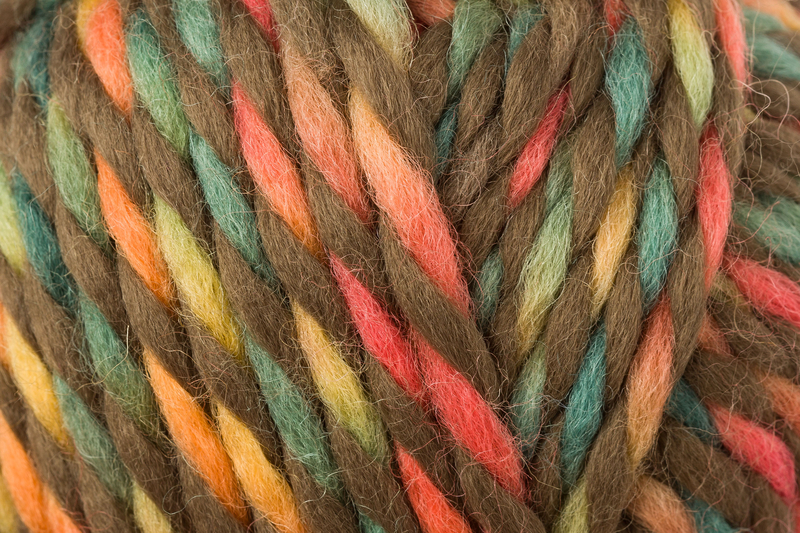 The result is a colorfu, but harmonious yarn. 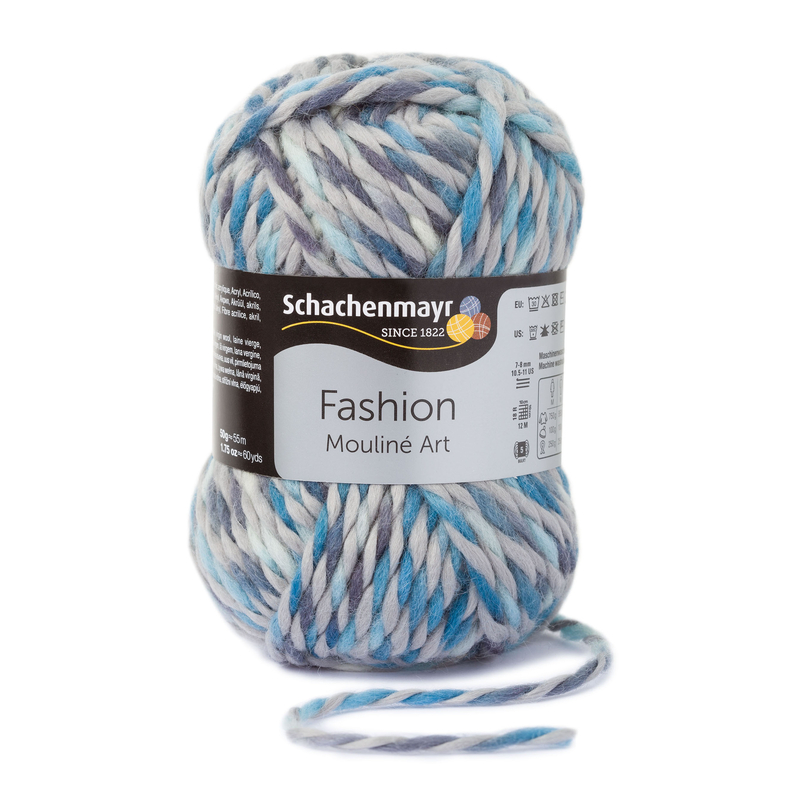 Combines perfectly with all the yarns of the Boston family including Merino Super Big Mix and Merino Extra Fine 40 for an infinite number of designs and effects.